Appearance (0-20): This is the first Nub I’ve smoked in quite a long time, and it looks beautiful. It’s a small stick, but it comes together quite nicely. It sports a nice medium brown wrapper with no veins. The band is very simple, with just a few lines and the Nub branding. Unless I knew about these cigars, I probably wouldn’t pick it out of a crowd. Construction (0-20): As with most Nubs, you will generally think that it’s just a quick smoke because of how small it is. Wrong. This has a huge 66 ring gauge, and is absolutely packed. My prelight draw was fairly loose, and it was the same during the smoke. One quick puff, and you draw large amounts of smoke. I do generally enjoy box pressed cigar, but this was somewhat awkward. The burn and draw were perfect, and the ash held on very long. 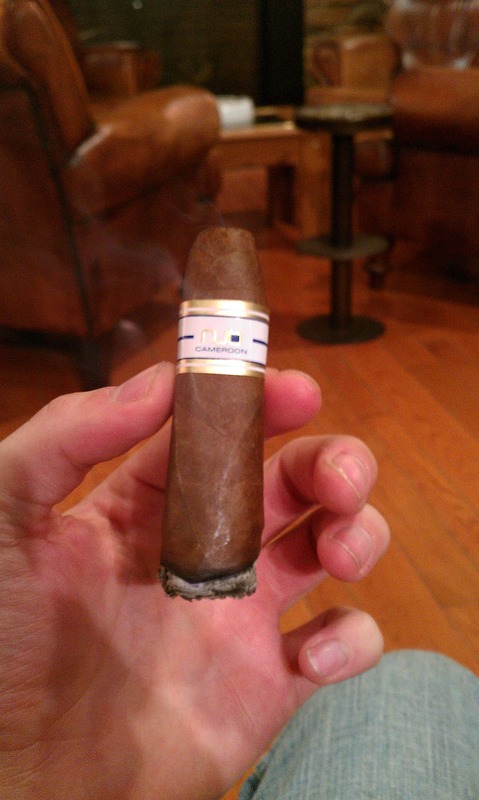 I ashed it right after about the halfway point, and it probably would have stayed on the whole cigar. In hindsight, I should have kept the ash on, because it started to burn hot once I tapped it off. Strength (0-20): The Cameroon wrapper was a different touch for me, and it right in the middle of mild-medium. It’s a bit fuller than the Connecticut wrapper, but nothing too heavy that will have you clenching your teeth. Overall, very relaxing. Flavor (0-20): Upon lighting, there was a huge blast of spice and pepper. This flavor quickly dissipates, and it moves into a creamy smoke. The main flavor throughout was very buttery, with small notes of sweetness and cream. This was another one of those smokes that isn’t overly complex, and allows you to kick back and enjoy. Value (0-20): Whenever you buy a cigar at the “single stick” price, its always a bit more expensive. While this was enjoyable, I would have liked a bit more flavor for the price tag. 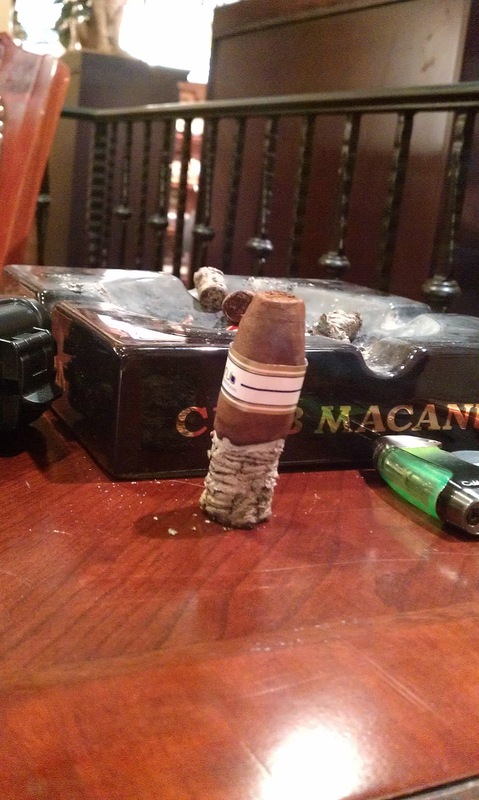 One strong point for this cigar is how much tobacco is rolled into it. The smoke was very long for only a 4” cigar, and does somewhat offset the pricing. Overall (0-100): Oliva produces comes quality sticks. This was an experiment for them a few years ago, and it has a niche in the market that no one else has. I am happy with the sampler pack that I picked up, and looking forward to the rest of it. I am very interested in the Nub maduro and double maduro to really tell how I feel about this line. This is a great 2nd cigar, or just a nice enjoyable smoke for someone to try. Thanks for the review bud. While I haven't smoked the nubs in a while, I did enjoy the various wrappers. I found them to pair nicely with a coffee in the morning. I don't know if I would smoke them any later than that.